Slimmer though he may be, Jonah Hill has developed a new hunger…to be taken seriously. Rumor has it that he is in talks with Martin Scorsese to appear in The Wolf of Wall Street, which sadly is not a documentary about the jerks who trade futures being devoured by wildlife. The adaptation of a memoir of the same name is sure to do wonders for our image of brokers, as it details the life of a coked-out douchebag. Hill wouldn’t be the lead, as Marty and Leonardo DiCaprio are still going steady, but given how loyal the director is, Hill may just satiate his dramatic appetite by placing himself on Scorsese’s menu. Speaking of Hill, he and co-stars Ben Stiller, Vince Vaughn and Richard Ayoade had what we’ll call “unfortunate timing” with a potentially hilarious upcoming release. It’s the rarest of all comedy breeds, a sci-fi ha-ha, that sees a bunch of Joe Averages stumble onto a global threat. The problem? It was titled Neighborhood Watch, a title tainted by the Trayvon Martin tragedy. So now the film is just The Watch, because it’s far better to sound like a documentary about timekeeping than a comedy about the homicidal perils of ill-conceived gun laws. Setting aside the snark for a moment, our sympathies go out to friends, families and fans of Adam “MCA” Yauch of the Beastie Boys. 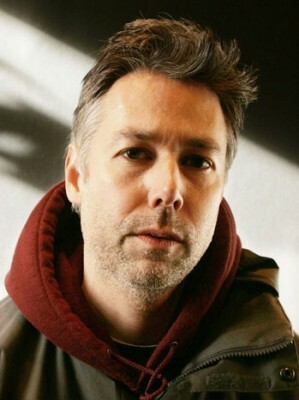 Although obviously primarily known as an influential musician, Yauch founded Oscilloscope Laboratories, a film distribution company I have had the pleasure of working with many times. They are the folks behind We Need to Talk About Kevin, Exit Through the Gift Shop and Dear Zachary to name just a few. The man wasn’t just an audio pioneer but a visual visionary as well. And he’ll be missed.